Jovago, the leading online hotel booking website, has now 2147 hotels listed from all over Pakistan that can be booked from anywhere in the world using the Jovago mobile app and website. Jovago has been working with the hotel industry to strengthen tourism by offering the economical rates and packages without compromising on quality and services. These 2147 hotels are ranked from 1 star to 5 stars according to the reviews and votes given by tourist upon their stay. Among them 800 hotels are ranked as 1 star, 32 hotels are 2 stars, 199 hotels are 3 stars, 35 hotels are 4 stars and 10 hotels are 5 stars, Whereas, some fall under the category of 1.5 star, 2.5 stars and 3.5 stars. Jovago believes that success of any country is highly dependent on its tourism sector hence bringing a wide variety of hotels will promote the goodwill of the country. 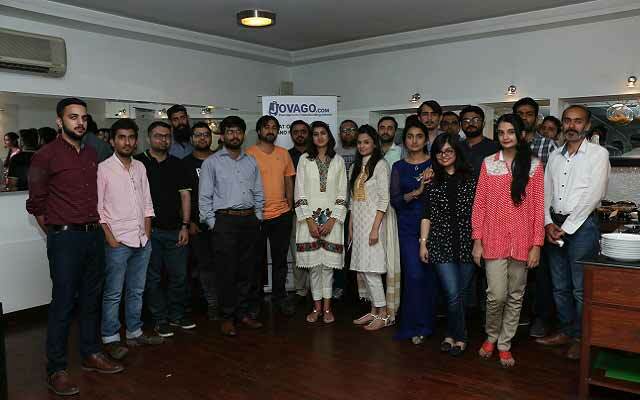 Talking about this, Country Manager Jovago, Nadine Malik said “Jovago is constantly making efforts to promote tourism industry of Pakistan by offering a wide variety of pocket–friendly hotels to boost tourism in Pakistan. Furthermore, reaching up to this mark is the evidence of our commitment to support this relatively ignored industry. We are determined to take tourism to a new height by making it accessible for the people of all walks of life”. This effort is one step forward in promoting the hotel and tourism industry of Pakistan which will boost the economy of Pakistan.